LANCASHIRE Care NHS Foundation Trust has been successfully shortlisted for a prestigious national award that celebrates innovations, initiatives and advancements whilst improving the patient experience. The Trust has been successfully shortlisted in 2 categories for this year's UK National GO Awards for working collaboratively with partners to improve the networks and systems that underpin healthcare in the Region. The 2 awards include the:- 'Procurement Innovation of the Year' and 'Procurement Project of the Year.' Key elements of the Trust's nomination focussed on the collaboration and commitment between partners in the Integrated Care System. There was also recognition of the level of market and supplier engagement and the achievement of significant savings for all stakeholders. The project has allowed the Trust to improve patient experience by delivering a timelier and improved service via efficiencies in record keeping as well as referral pathways and communications between services. The project has also improved connectivity across sites for staff in shared NHS locations as well as benefiting mobile staff who typically find their working day involving travel into communities and across Health and Care sites. The new network underpins healthcare systems and will deliver important improvements in performance as well as securing against future malware and cyber attacks. The nominations follow on from work that the Trust did in engaging partners in the North West Shared Infrastructure Service (NWSIS) to deliver a new contract for a Health and Social Care Network (HSCN) across the Lancashire Integrated Care System (ICS). The Trust hosted the project and partners consisted of members of NWSIS, including local Acute Hospital Trusts, the Midlands and Lancashire Commissioning Support Unit, Clinical Commissioning Groups (CCGs), the Lancashire Fire and Rescue Service and other Public Sector bodies. 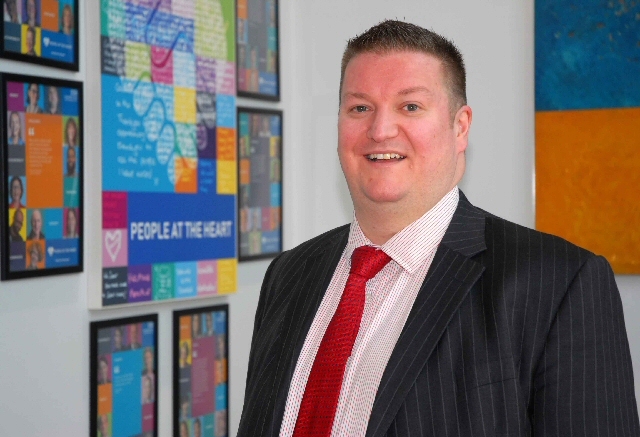 Stephen McGarry, Head of Procurement and Commercial Finance at Lancashire Care NHS Foundation Trust, said:- "It is incredibly rewarding to see the Lancashire HSCN procurement being shortlisted at the GO Public Procurement Awards. This exemplar engagement and commitment of the NHS and wider Public Sector partners has helped achieve significant improvements in both value and performance of services for which we can all be very proud and should rightly celebrate this National recognition." The winners will be announced at the Awards Ceremony, on 30 April 2019 at Hilton Metropole in Birmingham for more information please visit:- GoAwards.Co.UK. INSPIRED BY series such as Dynasties, Blue Planet and Springwatch to be looking out for nature in their own gardens, more Brits than ever are buying gadgets such as wildlife cameras to keep tabs on the wildlife in their gardens. Since the programmes aired, LaptopsDirect.co.uk has seen an increase in demand for their outdoor wildlife cameras range, with sales increasing by a staggering 160%, compared to the same time last year. 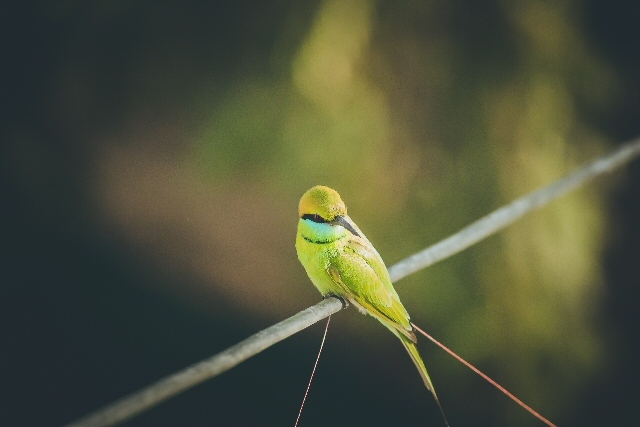 Additional research of 1,068 UK adults carried out by the gadgets and technology retailer provides more context for this; revealing that 36% of Brits say they've been inspired by nature documentaries to look out for nature and wildlife in their own gardens. This was most likely to be the case for the over 65's; a staggering 62% of whom said this is the case for themselves. The gadgets, offering live feeds, along with video recording and even still image capture on some models, have been favoured by wildlife lovers since they came to market, but have seen a recent surge in popularity, as they become more mainstream. While the over 65s were found to be overwhelmingly the most inspired by nature documentaries to look out for nature and wildlife in their own gardens, 31% of 30 to 40 year olds and 19% of 20 to 30 year olds also said such documentaries have inspired them. 26% said they're now more eco-conscious, as a result of having watched such documentaries. Furthermore, 37% reported that they would consider local wildlife when deciding where to go for a weekend walk, as they'd like to see animals close to home in their natural habitats. Mark Kelly, marketing manager at LaptopsDirect.co.uk said:- "It's great to see how so many people of all ages are feeling inspired by nature documentaries and taking a real interest in their wildlife closer to home. These documentaries seem to have inspired a generation to be more eco-conscious and think twice before doing something to harm the environment, which is an incredibly powerful message - it's fantastic to see just how many of us have been inspired in this way." Laptops Direct is the UK's largest online laptop specialist, selling a wide range of new and refurbished laptops from leading brands, as well as a wide range of other lifestyle gadgets. For more information, visit:- LaptopsDirect.Co.UK.